It is calculated that the entire vegetable-based meat substitute category generated sales of $9.3 million in 2017, representing a 20 percent growth rate over the previous year. Only one percent of the substitute market is represented by fish. 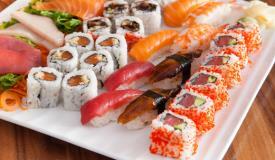 New technologies have resulted in ersatz salmon, eel and tuna served either in sandwiches or for the sushi market. Although vegetable-based fish substitutes may appeal to vegans, it is noted that there are marked deficiencies in nutritional quality compared to the natural product. Three ounces of raw tuna contain 21 grams of protein compared to the Ahimi™ product from Ocean Hugger supplying only one gram of protein. As with substitute ground beef, product development has concentrated on organoleptic properties including texture and color with proportionally less emphasis on taste. There has been practically no attempt to match nutrient content with genuine animal-based products including eggs. Nutrients are at the end of the day the reason why we eat.